There’s a brand new single out from indie-dance favourites Cornershop, a band Mojo have dubbed ‘the quintessential 21st-century pop group’, The Independent labelled ‘cultural critique you can dance to’, and The Guardian reckon are ‘clever and engaging, happily detached from the mainstream’. As far as I’m concerned, this latest offering from a much-treasured outfit with Lancashire roots deserves to be all over the airwaves, and could go someway towards the success of their 1998 tribute to Indian singer Asha Bhosle and their sole UK No.1, ‘Brimful of Asha’, coining the sound of summer two decades on. Wishful thinking maybe, but why not? The new 45 pairs the laid-back, feelgood dance groove of ‘Double Denim’ with a cover of The Archies’ 1969 bubblegum chart-topper, ‘Sugar Sugar’. There’s also an extra helping of promo video to go with it, and in the animated ‘Double Denim’, featuring fictional band Heavy Duty and seen as director Ian Viggars’ ‘homage to Hanna-Barbera and Peanuts’, the band are apparently celebrating ‘denim as a way of expressing one’s love for music with badges, patches or spray paint’. And more power to their jean-jacketed elbows for that. 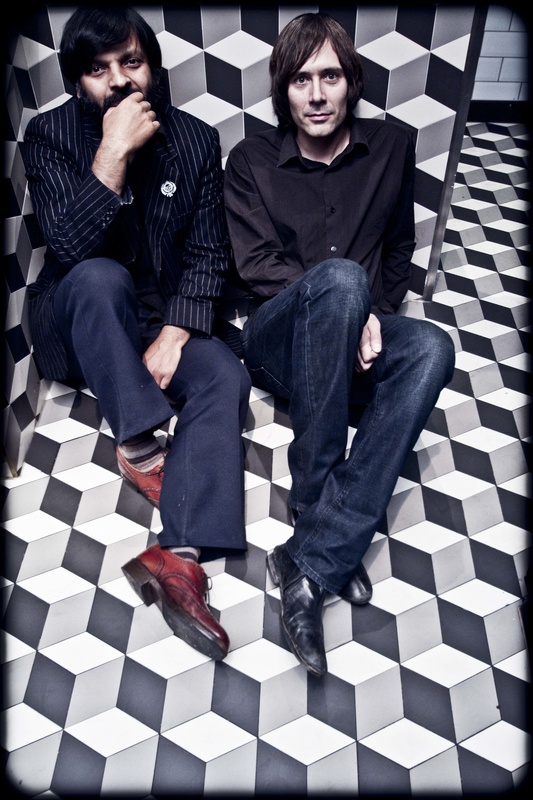 The ensemble responsible are now 27 years into an impressive career, with co-founders Tjinder Singh (vocals/guitar/bass/dholki) and Ben Ayres (guitar/keyboards/tamboura) still at the helm. They’re also currently working on a new album – their 10th, just the excuse I needed to track down Tjinder and quiz him about the band’s past, present and future. Usually, I’d then hone that and add in the odd nugget of back-story as we went along. But having read back Tjinder’s entertaining responses (put my way via the wonders of electronic mail in this instance), I felt I should just print our Q&A as it came, with the bare minimum of add-ins. So here goes, starting with me carelessly flouting every rule I’ve ever learned about trying to get off to a friendly start, half-suggesting I couldn’t work out why they would go anywhere near that annoyingly-catchy cover version. So, first off, ‘Sugar Sugar’ – was The Archies’ 1969 version not enough for all time? You do realise that’ll be the song I hear first thing in the morning and last thing at night in my head for a few months again now. Please explain yourself, Tjinder. Were yourself and Ben around when that track first topped the charts? I was barely two, but it clearly made a deep impression on me from continued radio rotation in the following years. Now I’ve got that out of the way, I feel the need to stress how much I’m loving ‘Double Denim’ (and no doubt I’ll grow to like the other side in time). By rights, this should be the sound of late summer 2018, getting as much airplay as songs like Pharrell Williams’ ‘Happy’ and Daft Punk’s ‘Get Lucky’. Might we finally see your first top-40 hit since 2002’s ‘Lessons Learned From Rocky I to Rocky III’? You suggest ‘Double Denim’ is a reminder that music is still the key to many of our woes. With the dire political landscape here and over the Atlantic right now, we need that, don’t we? Double Diamond, eh. Now we’re going back. It seems to be the early ’70s again, with that song on the radio. But moving on … What have yourself and Ben been up to since 2015’s Hold On It’s Easy album? Do you get together fairly regularly, or just in creative spurts now and then? Quite right too. And there’s a new album on the way, yeah? Are these two tracks a good indication of where Cornershop are at in 2018? 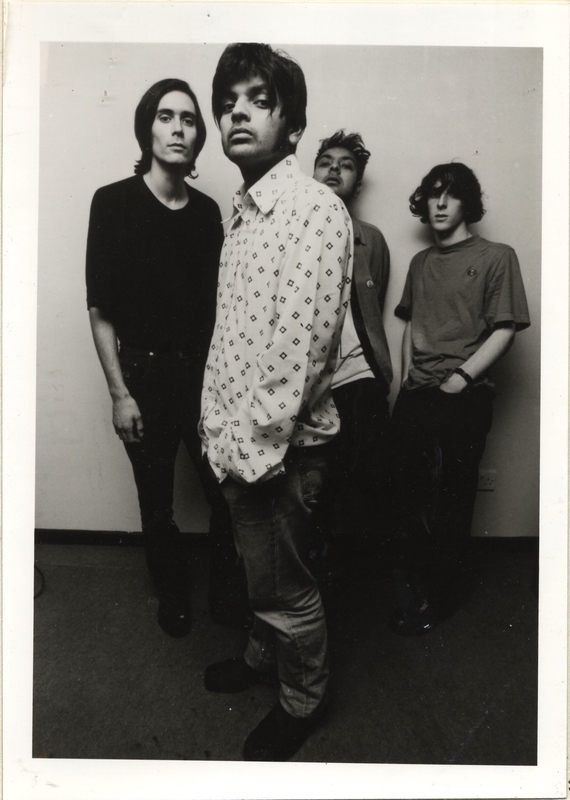 Band Substance: Cornershop’s first press shot, taken at West Orange Studios, Preston, early 1992. From the left – Ben Ayres, Tjinder Singh, Avtar Singh, David Chambers. The ‘Double Denim’ video features fictional band Heavy Duty. Is that a nod to your Preston roots in the band, General Havoc? And while I get the Archies inference with the cartoon style, how do Heavy Duty compare to more recent animated ensemble, Gorillaz? That’s cleared that up then. 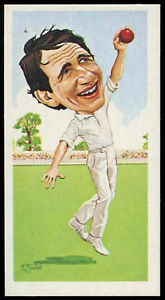 Taking you right back to your Lancashire years, were those fun days, or was it just a slog to get heard around then? Have you strong memories of the first General Havoc gig? And where exactly was that? How about that very first Cornershop show at O’Jays in your next musical base, Leicester? What were you studying in your Preston days? And is that how you got to know fellow Cornershop bandmates Dave (Chambers, drums) and Ben? Rumour has it that as the social secretary of the Poly (these days the University of Central Lancashire) you very quickly blew the budget through booking bands like The Wedding Present, Mercury Rev, Spiritualised, and so on. Is that true? “As I said earlier, Preston was what you made of it, so as Social Secretary I tried to have more bands and comedians play. Being so well placed between Manchester and Liverpool or prior to bands going up to Scotland, it seemed a waste of the Polytechnic’s venues and resources not to book bands that were touring. So more gigs took place instead of bad discos, and more local community was welcomed in. In fact, I also set up a free festival at Avenham Park in the summer third term – not something you could do without a budget. Did you always believe in the band’s chance of striking it big? I get the impression it was more of a winning concept than a happening musical unit at first. “We only believed in the band’s ability to meet from time to time in different cities as some of us exited from Preston. However, right from the start we had David HB Chambers join us on the basis that he thought we had something. We always had the support of Marcus Parnell or Gaynor, and later John Robb and Tony Wilson, and when we got to Rough Trade, Portobello, there was Pete, Jude and Nigel. So there was always encouragement, but there was never an aim to strike up anything. Something that seems to have deserted the US in recent times, unfortunately … at least for now. 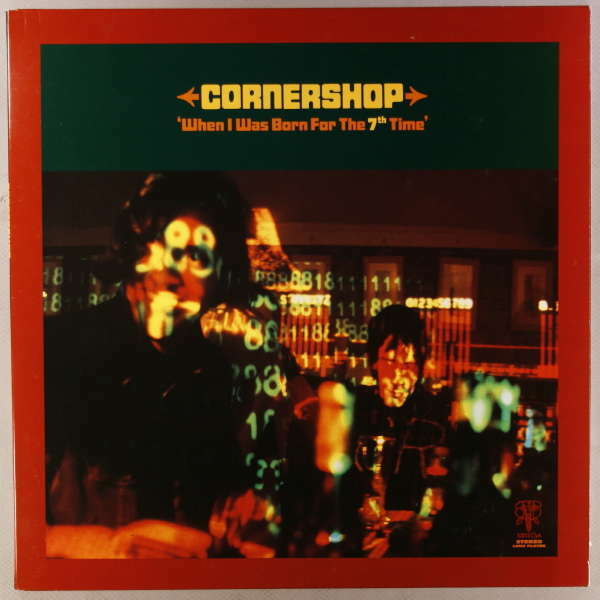 Going back, those early days of Cornershop were prime post-punk indie DIY days. Was there a proper community feel among acts from the North West, and something of a similar philosophy (with assistance from the likes of the afore-mentioned John Robb and Marcus Parnell)? It’s 25 years now since legendary broadcaster John Peel introduced you to a wider audience and spoke of ‘the first poptastic band from Britain’s Asian community’ and those first two Cornershop EPs on Wiiija (In the Days of Ford Cortina and Lock, Stock and Double Barrel). Was that exciting, hearing yourself on the national airwaves? And do you remember much about recording that first Peel session in 1993 (more followed in 1998 and 2002, the band having five entries in Peel’s Festive Fifty overall, including a No.1 with ‘Brimful of Asha’ in 1997)? The powerful ‘England’s Dreaming’, from that first session (voted No.17 in Peel’s 1993 Festive Fifty), seemed to set out your stall as a musically creative force. I’m sure you and your brother (Avtar Singh, bass guitar, vocals) had to put up with prejudice, but you seemed to take that all head on, not least with the band name, challenging the clichés. With regard to where we’re at politically right now, the time’s ripe for a Cornershop revival, surely? “Politically, we are in a hot-pot of course, but the time is really ripe for other Cornershops to say something of the situation. Unfortunately, politics seem to have been taken out of music again and we are back to songs that don’t represent the hard political situations we are having to deal with. The youth seem more set on singing about meeting someone in a car park than why they can’t afford to buy a car. It’s now been 21 years since Fat Boy Slim’s ‘Brimful of Asha’ remix took you to the top of the charts. How did Norman get involved with you? Are you still in touch? What did you make of the BritPop movement? Was it good to be associated with, just a happy accident, or part of a true coming together of like-minded bands with a wide selection of influences? 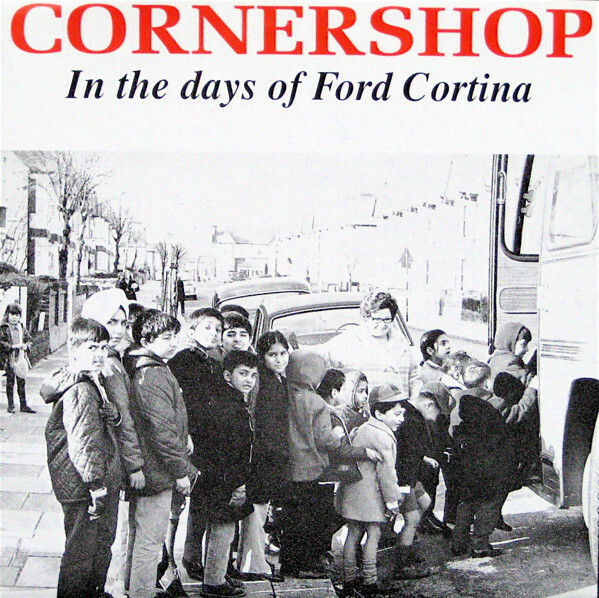 I could mention several more Cornershop tracks from down the years, but was always particularly taken with ‘Good to Be on the Road Back Home’ on your best-selling LP, When I Was Born for the 7th Time. Was that a further nod to the Velvet Underground? And what’s guest co-vocalist Paula Frazer up to these days? “We didn’t intentionally nod to The Velvet Underground, and that song we saw more like country music or a Lee (Hazlewood) and Nancy (Sinatra) type duet. For me, all the old boys and girls at my local Irish pub still sit around the bar and sing and cry to it. It also has that Irish ‘away from home’ feeling about it, and has certainly brought me many a free drink. 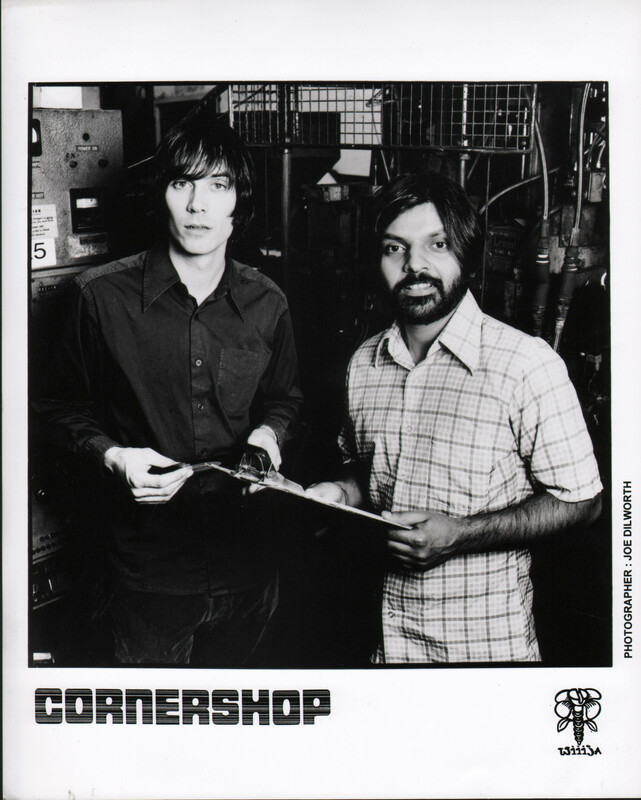 According to the band’s website, Cornershop have been making a film about London’s independent music industry since 2003. Is that ready for release yet? Finally, will there be a tie-in tour for the album release? And might your past collaborators the Mike Flowers Pops be joining you for that? You can find the video for ‘Double Denim’ here, and for ‘Sugar Sugar’ here. 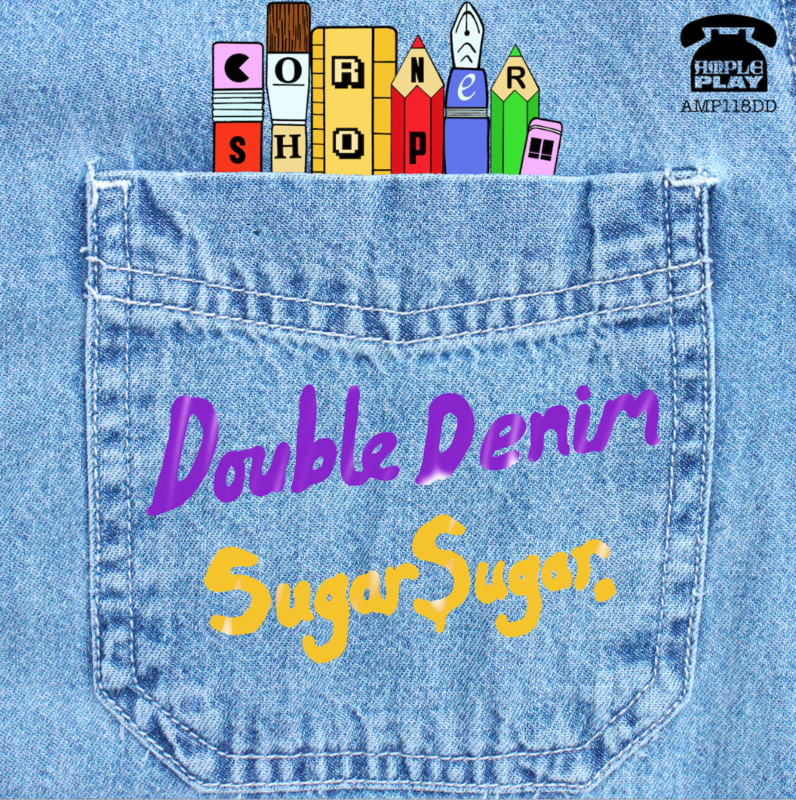 For details of how to get hold of new single, ‘Double Denim’/‘Sugar Sugar’ (Ample Play) and all the latest from Cornershop, head to their website. With extra thanks to Marcus Parnell for a little insider knowledge from those formative days on the Preston scene. This entry was posted in Books Films, TV & Radio, Football and tagged Avtar Singh, Ben Ayres, Brimful of Asha, BritPop, Cornershop, David Chambers, Derek Randall, Double Denim, Double Diamond, Gorillaz, Ian Viggars, John Peel, John Robb, lancashire, Leicester, Marcus Parnell, Preston, Suga Sugar, Tjinder Singh, Wiija, wolverhampton. Bookmark the permalink.